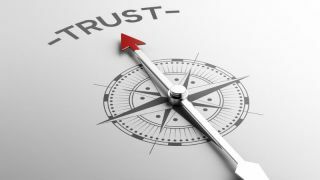 Trust is built on shared experience and intelligence. For the business to trust IT to fail, IT leaders must act now to prove, measure and communicate their remarkable insight. The Silicon Valley start-up mantra of ‘fail fast’ has become commonplace in the world of technology, but is it fit for purpose for larger, more established businesses? Failing and adapting might work when you’re yet to reach market, or only have a handful of customers. But what happens when hundreds, thousands or millions of consumers or businesses are relying on you? Does more to lose mean failing is no longer an option? Some of the most successful businesses suggest not. You might equate Tesla with electric cars, Net-a-Porter with fashionable clothes and Amazon with everything under the sun, but fundamentally they’re all software companies. Initially trailblazers, they’re now sector leaders thanks to their cultures of relentless innovation and willingness to accept failure on their path to success. But it’s not just any kind of failure. These businesses make calculated bets with software and technical innovation, so that they don’t only fail fast, they fail forward. Businesses who embrace a 'fail fast, fail forward' approach recognise that true, rapid progress can’t be made without experimentation. Failing forward means turning mistakes into progress. It means detecting emerging problems quickly, before widespread impact, and testing out hypotheses that help move you toward to your ultimate goal. Software is a natural place for most of this innovation and testing to happen. With the ability to update, innovate, detect issues early and continuously develop, software has transformed how business and experimentation is done. So, given its expertise in applications and information, shouldn’t IT be leading the charge in areas such as business improvement, digital experimentation, and innovation? After all, software sits at every business’ beating heart, and it has become the vehicle for business efficiency and agility as more companies pursue a digital-first strategy. Given digital’s prominence, this should be IT’s moment. It should. But in many enterprises it’s not. And the reason is a lack of trust. Responsible for keeping the lights on and the ship steady, IT and failure are often seen as two incompatible terms. Experimentation is seen as a dangerous thing in a world where downtime is unacceptable and slow software or application performance means poor business performance. So how, in this context, does IT reposition itself to secure the trust of the business and take up its mantle of smart experimentation? It’s easy for someone to dismiss experimentation out of hand if we don’t have the evidence that the problem or opportunity exists, that change is necessary and that the outcomes can be measured. The first thing IT departments need to realise is that they have a strategic and often untapped ‘app advantage’ – that is, at any point in time, IT should know more – and know it faster than any other department in the enterprise. Every application tells a data story – one that provides a clear window into the world of its users, and how to improve those users’ day-to-day experiences. IT can use application data and contextual understanding to critically evaluate the user experience, identify pinch points and areas for development, and direct investment for the best business result. Today’s consumers are accustomed to lightning-fast digital experiences. For them, every millisecond counts, and fast, useful and flawlessly performing applications can inspire brand devotion and build a corporate reputation. IT can make this happen. Unfortunately, today many IT departments struggle to get their hands on the data that can prove their case. That can be down to a number of different issues. Some businesses might lack the tools to capture the granular insights they require. Some might have so many reporting systems and processes that data is out of date by the time they’ve interpreted it. Some might struggle to translate system data into insights that a clear and easily understood by the broader business. Whilst you and your team might know that rising page weight is a desperate cry for improvement, a time strapped CFO might struggle to see the point. To make the most of its app advantage, IT should be adopting tools and processes that help them mine insight from their applications. This data can help them drive internal awareness of how software driven user experience can create customer loyalty, that leads to better business outcomes such as increased revenue. As the famous saying goes - you can’t manage what you don’t measure. Real-time data can help inform smart, controlled experimentation and course correct in the event things go wrong. By combining the right real-time data tools, with superior knowledge of how to deploy, change and release successfully, IT can keep its finger on the pulse of the business and optimise for success during every software release or change. Speed of development – and indeed, speed at every step – is a competitive strength, with McKinsey noting in its ‘Why digital strategies fail’ report (January 2018) that the three-year revenue growth of the fastest growing businesses was nearly twice that of those playing it safe. By adopting a culture of relentlessly testing, refining and measuring digital products in real-time, IT can help the business move faster than its digital competitors. With this approach, businesses can better manage customer experiences at scale; detect issues before customers notice them; and create positive customer journeys for every conceivable business transaction. Finally, to instil trust, IT professionals should use language that others in the business understand. All too many technical experts take an inside-out approach, communicating in speeds and feeds rather than the metrics that matter to the business. Whether it’s conversion, drop-off, bounce-rates, transactions or dwell time, IT’s app advantage shows insight into how to drive almost every critical business outcome. Since applications today sit at the core of every business propositions, mining the knowledge that these systems hold is critical to long term success. By providing clear actionable insight back to the business, in a shared language, IT can inform exactly what ‘smart bets’ to make – providing clear evidence for intelligent experiments and controlled failure. The facts are this: trust is built on shared experience and intelligence. For the business to trust IT to fail, IT leaders must act now to prove, measure and communicate their remarkable insight.